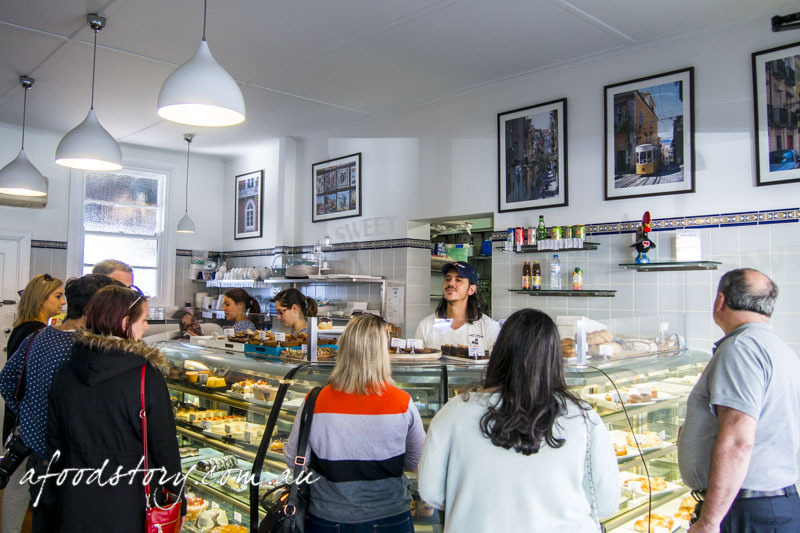 I’d always heard Sydney’s best Portuguese tarts could be found at Sweet Belem but I never realised they were located in Petersham. That changed for the better over a feast at The Oxford Tavern. Demolishing a platter of meats and relaxing with a few drinks our friend Lil started telling us a little more about her suburb. 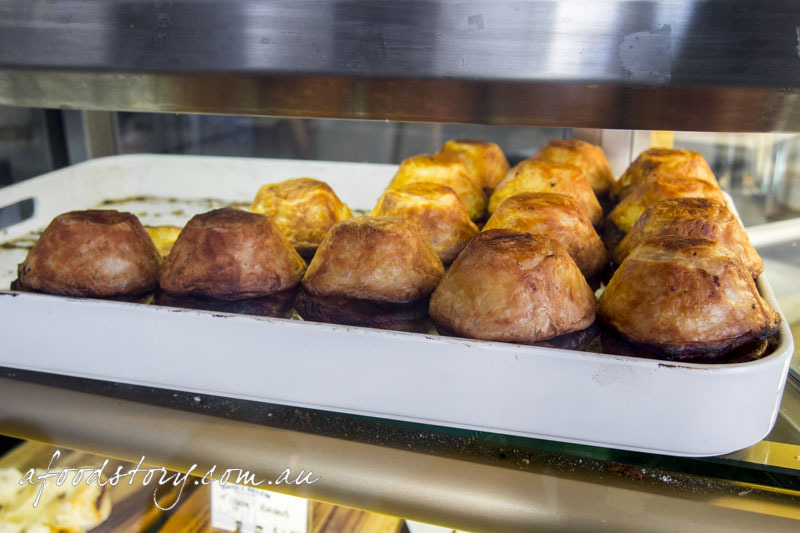 As soon as the words Sweet Belem came out of her mouth I couldn’t think of anything but Portuguese tarts and how I could possibly get my hands on one. Moments later when she uttered the words ‘just down the road’ all my Christmases came true. And so we happened upon Sweet Belem cake boutique where windows and cabinets were piled high with all kinds of sweet treats. I had my heart – and eyes – set on one thing. No points for guessing what. Back at Lil’s came the moment of truth. I could hear the shatter of pastry as I bit in and flakes went flying. The shell comprised layer upon layer of the most deliciously crisp, flaky pastry, yielding and making way for the egg custard which was suitably caramelised on top yet still slightly wobbly in the centre. Nuances of the cinnamon dusting married so well to the utterly divine custard. It was an absolutely heavenly tart. 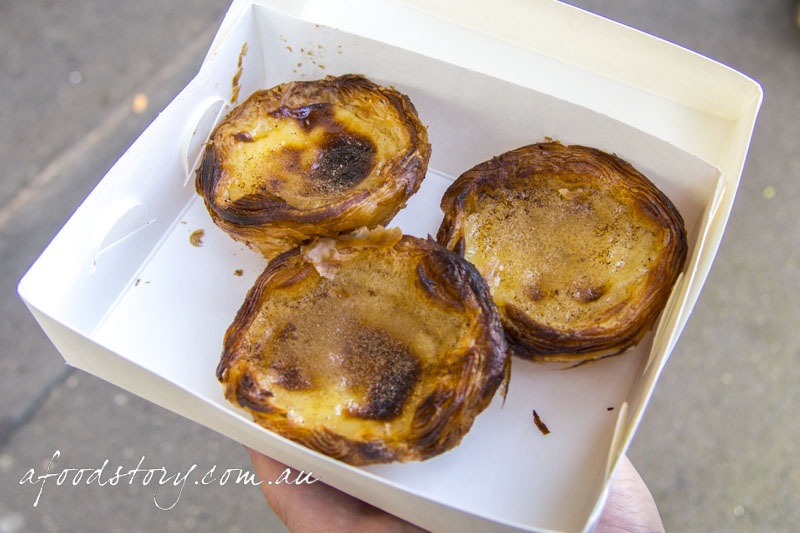 I have to agree with the masses – these are the best Portuguese tarts I’ve had the pleasure of eating. It was probably for the best that I didn’t buy a dozen as they wouldn’t have lasted too long at all. Lucky for me, now I know where to find Sydney’s best.